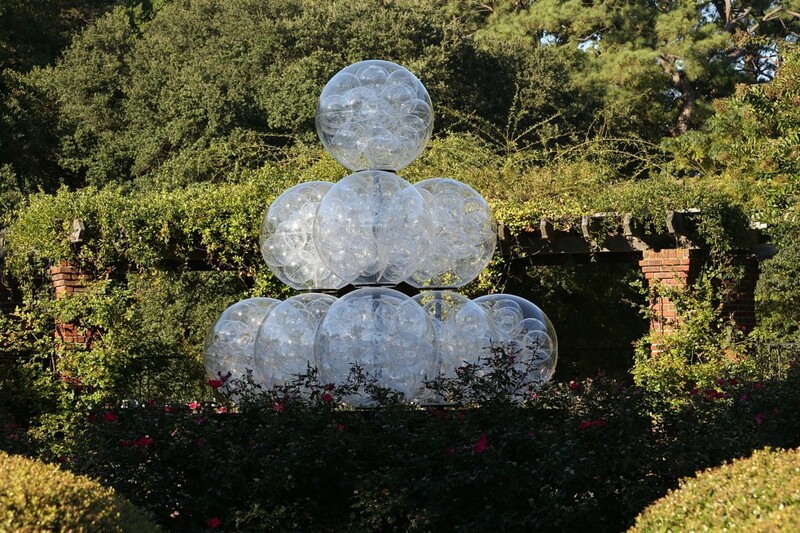 Brass Monkeys is a large-scale three dimensional pyramid of spheres. It takes its name from brass triangles that supported stacks of iron cannon-balls on sailing ships and the saying ‘cold enough to freeze the balls off a Brass Monkey’. 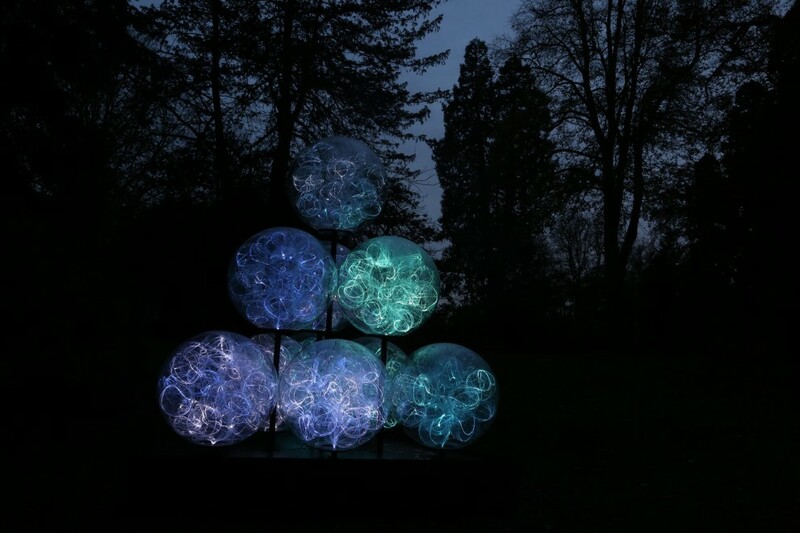 Each sphere contains smaller spheres, each filled and illuminated with fibre optics that glow icy blues and whites. 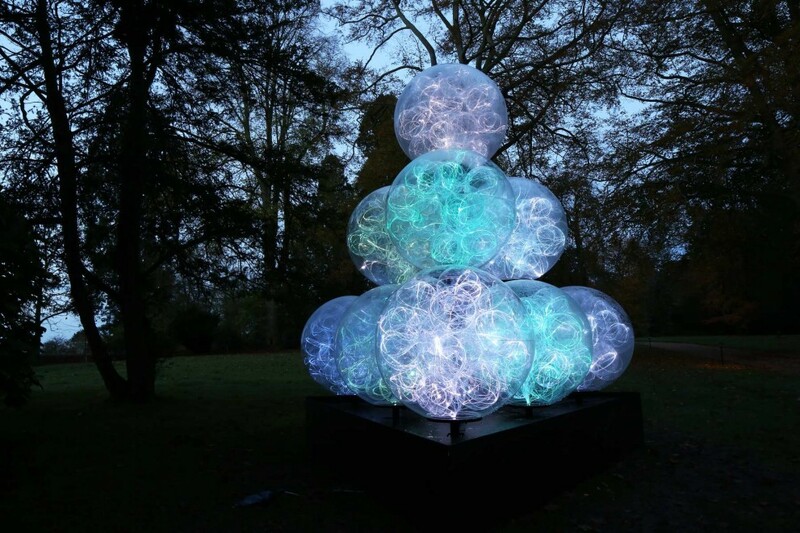 The spheres site a top a ‘monkey’ and the whole piece stands about 3m high. 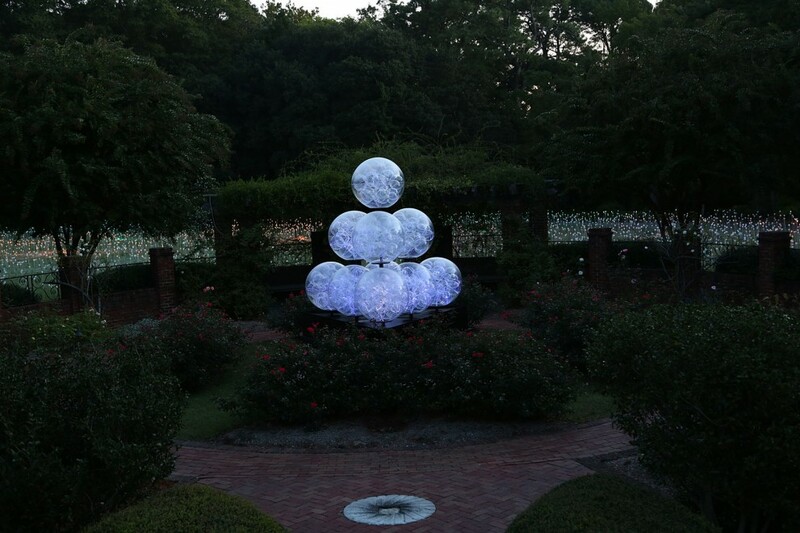 Bruce Munro: Light, Hermitage Museum & Gardens, Norfolk VA, USA.